For years, Kit Carson's M16® designs have been our most popular series. And our Z version has built the largest user base of all. These knives are built for function, not fad. And they are exceptional values. 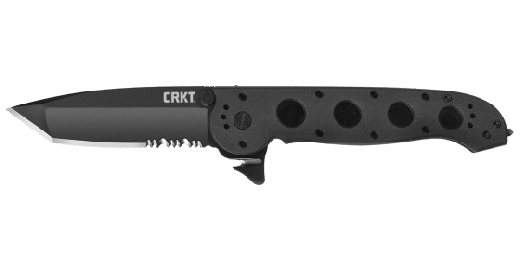 The hefty M16®-14T Big Dogs with a tanto-style blade is suited to large hands and heavy-duty tasks. 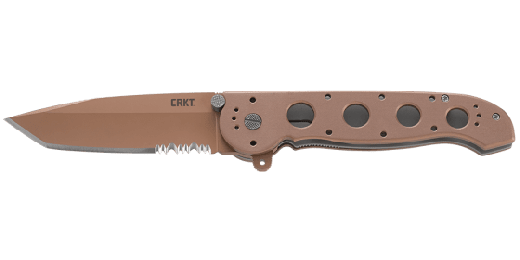 We use our tough titanium, Triple-Point™ Serrated edges, and a Carson Flipper to give greater everyday utility. 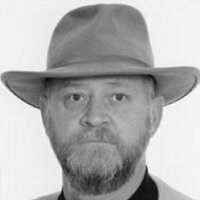 Kit Carson, designer of the M16® Series, became famous for his titanium frame M16 customs. True to Kit's custom design in all details, the production M16T models have been taken a step further with the addition of our automated liner safety. Automated liner safety is the locking liner safety innovation taken to the next level. The automated liner safety sets a pin between the locking liner and the frame. This pin acts as an additional layer of safety, so the locking liner is less likely to disengage during use. To close the knife, pull the red buttoned safety lever back, slide the locking liner over, and fold the blade into the closed position. Want one of the most secure safety systems on the market? The choice is automatic. The handles, which form the open-build frame, are CNC machined from titanium. The result is a better strength-to-weight ratio than steel or aluminum, and an almost indestructible frame. The titanium frame is minimally ceramic bead-blast finished to enhance grip. The single 420J2 stainless steel locking liner with friction grooves provides positive locking. 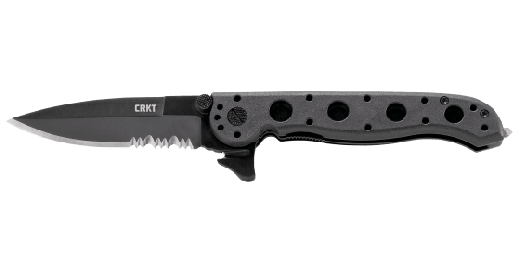 The blade is AUS 8 stainless steel, chosen for edge retention and durability, in non-reflective fine bead blast finish, with a Combined Razor-Sharp and Triple-Point™ Serrated edge. 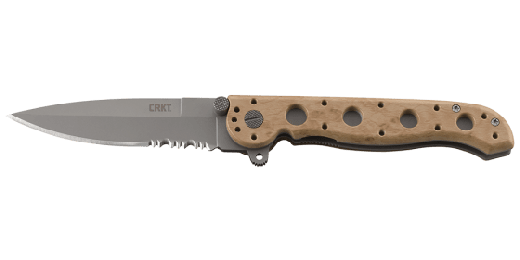 This steel can handle the most rugged cutting tasks and still be field sharpened. 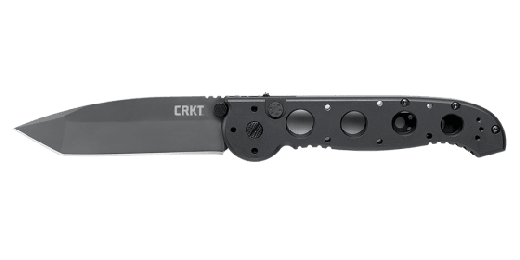 Of course, it also features the signature "Carson Flipper" extension to the blade, which aids opening and acts as an additional blade guard. 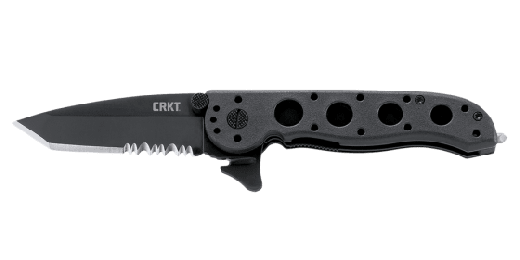 The "Big Dog" M16®-14T is a hefty, full-size working knife with a dual grind modified Tanto-style blade. One-hand opening and closing is quick and smooth, the result of lubrous washers at the blade pivot. The ambidextrous thumb stud with checkered surface provides instant access in any circumstance. It features a removable stainless steel clothing/gear clip. Faithful replicas. Premium quality. Precise. Smooth. Amazing value for those who want the ultimate M16. Kit Carson still marvels at how well our production titaniums compare to his customs.